Chitosan as natural product might have potential application in the production of Origanum majorana “Marjoram”, a known historic plant with economic importance in the agriculture and pharmaceutical industries. Under three irrigation periods (1, 3, and 5 days) in marjoram plants for 8 weeks, chitosan was applied as water solution at 50, 200 and 500 ppm. Chitosan increased selected morphological parameters and associated with elevated physiological and molecular performance. 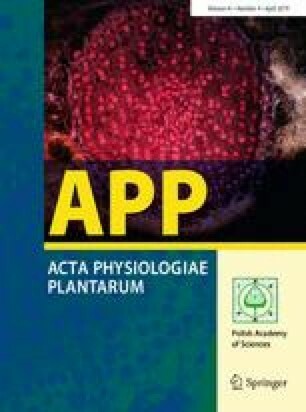 Enhanced metabolism of the treated plants was expressed as increased rates of stomatal conductance and photosynthetic rates. In addition, soluble sugars and proline levels were higher. Elevated expression of MnSOD Cu/ZnSOD, FeSOD, APX, DREB2 and ERF3 s were also detected. Further elevated expression of CYP71D179/182 and CYP71D178 PII, essential oil composition-related genes, was also found. The SOD and APX enzymes were more active and there were reductions in the levels of reactive oxygen species. Thymol and cis-Sabinene were higher in treated plants essential oils. Chitosan may alleviate water stress in marjoram by enhancing the metabolism and stress related genes in treated plants. The online version of this article ( https://doi.org/10.1007/s11738-019-2830-0) contains supplementary material, which is available to authorized users. This project was supported by the King Saud University. Deanship of Scientific Research. College of Science Research Center.